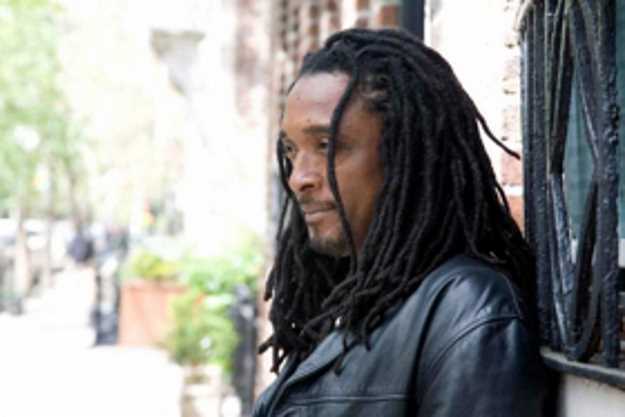 Bernard Fowler is most widely known by millions of people around the world as the longtime collaborator and backing vocalist for the Rolling Stones, a position he has proudly held for 31 years and counting. His dynamic vocals have appeared on hundreds of albums for artists as diverse as Herbie Hancock, Yoko Ono, Alice Cooper, Bootsy Collins, and many more. Fowler's newest solo endeavor, Inside Out (released April 19 on Rhyme & Reason Records), is a brilliant re-interpretation of songs from the Rolling Stones catalogue, recasting them in a mode often reminiscent of the pre-hip-hop work of the Last Poets and Gil Scott-Heron. In the process, Fowler forges a new, very personal identity for songs he's performed for decades alongside the "the world's greatest rock n' roll band." The first single from Inside Out is a conga-driven re-make of "Sympathy for the Devil,"
Also the album dives into Rolling Stones deep cuts. Darryl Jones, Steve Jordan, Ray Parker, Jr. and many other luminaries join in for some remarkable grooves. It was an impromptu jam session on the congas during a Stones sound check that set the album in motion. Stones front man Mick Jagger, impressed by the combination of Bernard's beatnik inflection of the lyrics and his funkified percussion, encouraged him to cut a record, saying, "Bernard, I've heard Rolling Stones songs played in many different ways but I've never heard it like this before." Fowler says Inside Out is for "all the Rolling Stones fans out there; this will help you hear songs you've heard before in a new light. They may take on a new meaning. This album is dedicated to you."